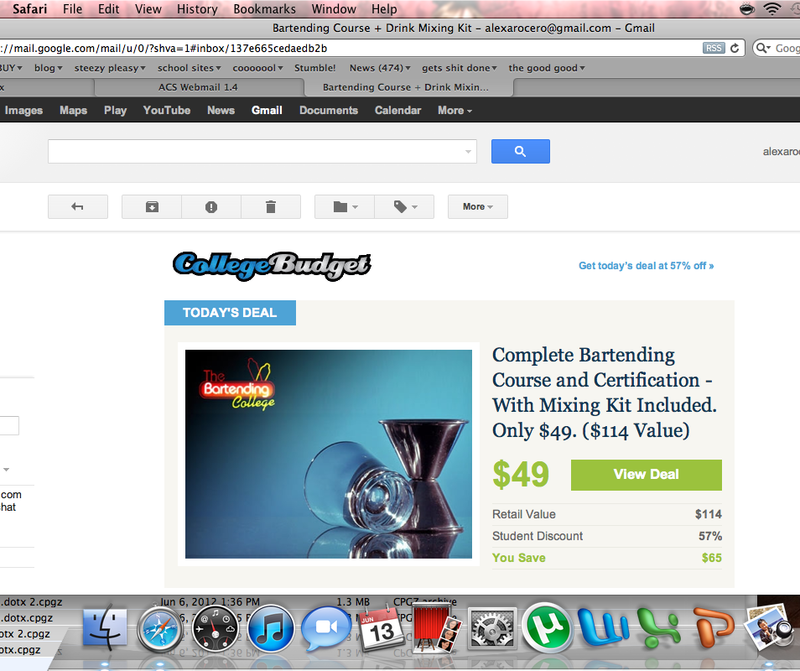 College Budget Deals’ “Deal of the Day” is a discounted bartending school package. It came out right at the end of the school year. Coincidence, or timeliness?